Businesses that moved their IT into the cloud are already seeing positive ROI. UK’s businesses are earning less because they lack cloud skills, a new report by Rackspace and the London School of Economics claims. The report also says that the lack of these skills is also hindering creativity. The report, called The Cost of Cloud Expertise is based on a poll of 950 IT professionals. Two thirds (64 per cent) said they’re losing out on revenue due to the lack of required cloud expertise. The same amount said they need to invest more in the workforce. Even more, 67 per cent, said their organisations could bring more innovation if they knew how to use cloud to the fullest. Almost half believes this lack of skills is slowing down their abilities of deploying cloud platforms. A quarter (28 per cent) said this wasn’t the issue for them. There is a positive side to the story, too. 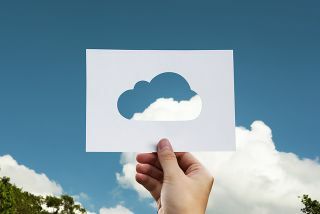 Almost half of businesses (42 per cent) that moved most of their IT to the cloud are seeing a positive return on investment. Another 44 per cent said they are expecting a positive ROI in the future. Knowing how important qualified workforce is, the report also touches on the topic of what skilled workers are looking for in a company. Salary and benefits are the biggest priority, but being able to progress in a company, and being able to work on interesting projects are also important factors.